Prey Veng province to the east, Kampong Cham to the north, and to the west, Kampong Speu (northwest) and Takeo (southwest). 11 districts make up the province. In Kandal, there are 4 rivers: Tonle Sap, Tonle Basat, Mekong Kraum, Mekong Leu. 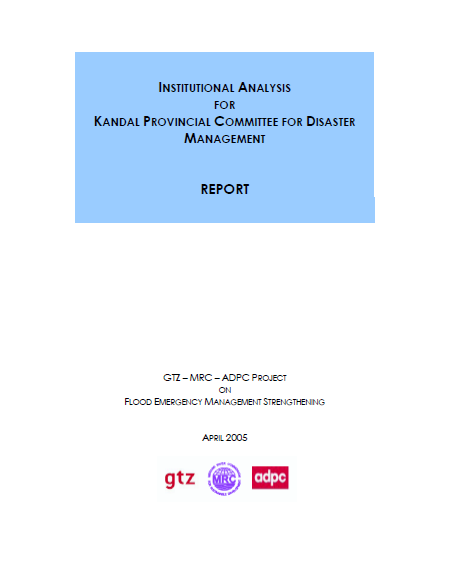 Kandal province is in the low area, vulnerable to floods. Floods can be very useful for because they bring fish, help grow agriculture. However, floods also can cause a lot of damage and destruction. Floods affect 7 districts. Sang district has serious floods. The next serious are Lovea Em (Preah Komen, Preah Desay communes), Leuk Daek (Kartom commune) and Sa Kandal.